Kyle T. Mays (Black/Saginaw Anishinaabe) is a transdisciplinary scholar and public intellectual of urban history, Indigenous Studies, Afro-Indigenous Studies, and popular culture. He earned his Ph.D. in the Department of History at the University of Illinois, Urbana-Champaign in 2015. He recently published his first book, Hip Hop Beats, Indigenous Rhymes: Modernity and Hip Hop in Indigenous North America(SUNY Press, 2018). He is finishing his second book titled, The Indigenous Motor City: Indigenous People and the Making of Modern Detroit (under contract with the University of Washington Press). 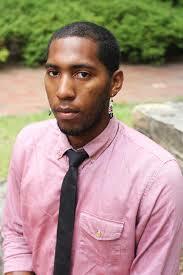 He is also working on a new book project tentatively titled, Black Belonging, Indigenous Sovereignty: Black American and Indigenous Histories in Unexpected Places This book explores the relationship between Black Americans and Indigenous peoples, moving from the foundations of the United States until the present. At present, Kyle Mays is working on three books. The first is titled, Hip Hop Beats, Indigenous Rhymes: Modernity and Hip Hop in Indigenous North America (Forthcoming, March 2018 with SUNY Press). The second book is titled, The Indigenous Motor City: Indigenous People and the Making of Modern Detroit (under contract with the University of Washington Press). He is also co-editing an anthology titled, Decolonizing Hip Hop: Blackness and Indigeneity in Hip Hop Culture (under contract with Sense Publishers: Youth, Media, and Culture Series). Dr. Mays writes regularly for public venues, including Indian Country Today Media Network, Native Appropriations, Decolonization: Indigeneity, Education and Society, and The Native Ninety Percent.